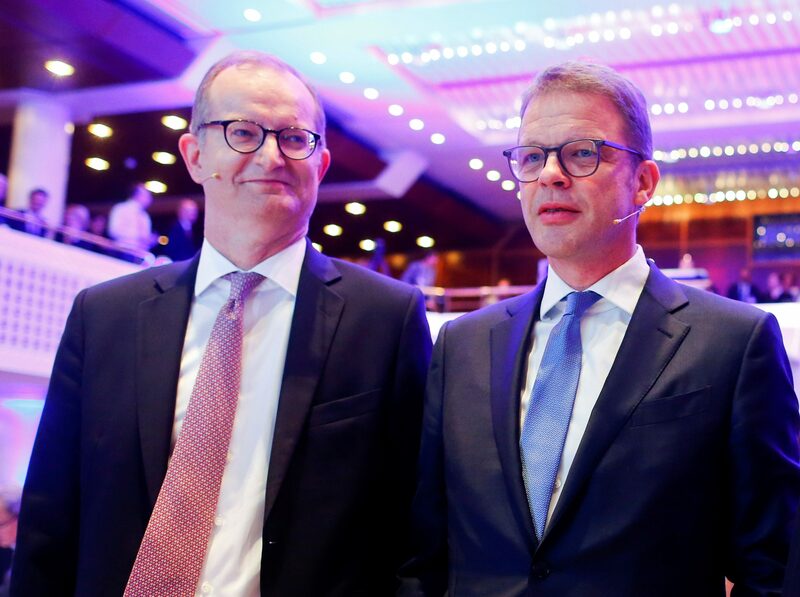 Deutsche Bank CEO Christian Sewing and Commerzbank CEO Martin Zielke attend the 28th Frankfurt European Banking Congress (EBC) at the Old Opera house in Frankfurt, Germany November 16, 2018. The management board of Deutsche Bank has agreed to hold talks with rival Commerzbank to study the feasibility of a merger, according to a Reuters article on March 9, citing a person with knowledge of the matter. First unofficial contacts took place within a very small group and the mandate from Deutsche's board was given more than a week ago, said the person, who Reuters reported speaking on condition of anonymity. Spokespersons for Deutsche Bank and for Commerzbank, respectively, both declined to comment.